The Centre for Inquiry Canada is beginning a new skeptical campaign featuring bus ads and various educational events. 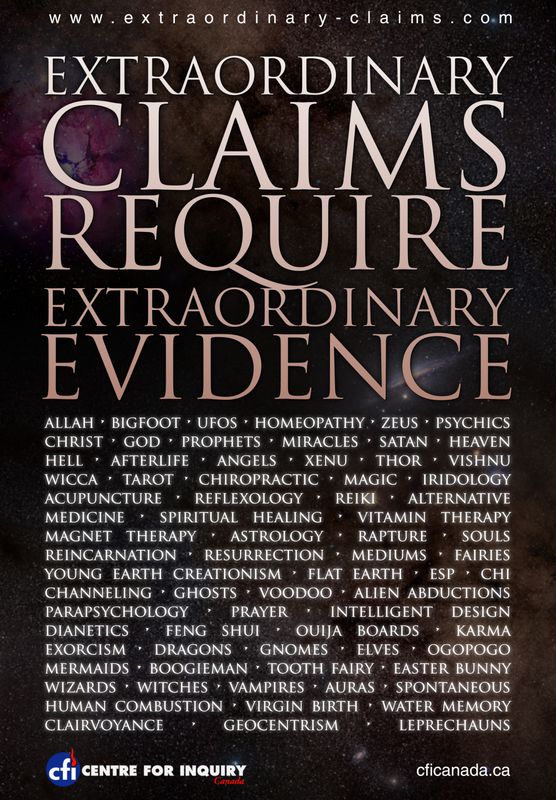 It’s called the “Extraordinary Claims Campaign”, named after the quote that is often attributed to Carl Sagan. This is a campaign I hope gets brought to the U.S.
Author’s Note: Though it wasn’t intentional, I discovered all these stories on The Friendly Atheist blog, so really this post is just drawing attention to several important stories that Hemant Mehta and his co-bloggers already reported. Sorry. 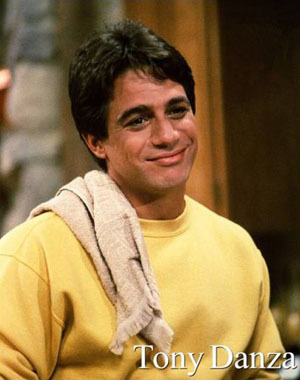 Good for Tony! I remember attending the funeral service for someone I went to high school with and being really upset that the deceased was hardly even mentioned in the service, which was exploited to celebrate Jesus. And I wasn’t even close to the deceased. So I can imagine how I’d feel if it were for a close friend’s service. If it had been, I’d like to think I’d tell off the guy too. 2. Atheists & Christians unite for forest restoration – I’m always a big fan of these charity projects where atheists work with the religious. If I were running an atheist or secular organization, I’d be pushing to do more of it. Not only does make a positive difference in the world but it can easily draw positive media attention to the organization while promoting tolerance at the same time. It’s win-win. 3. Anne Frank is in Hell – An interesting discussion about the inevitable logical conclusions of many Christian’s beliefs that Christians try to avoid like the plague. So often Christian evangelicals declare all who don’t follow Jesus, particularly not the exact way they do, are hell bound while anyone can be “saved” no matter what their crimes on Earth are if they repent. I often point out that under this system, that would mean six million Holocaust victims are in Hell while many of their Nazi oppressors could have made it to Heaven. Christians typically respond by bending over backwards to rewrite their dogma using tortured logic to make it more consistent with secular morality. They do the same when presented with the question of whether it would be morally acceptable to lie to protect Anne Frank hiding in your attic from Nazis who come to your door looking for Jews after the Christians have already stated that even telling a single lie makes you deserving of Hell. Anne Frank makes for a superb example when demonstrating the absurdity of many Christian views about morality. 4. Battling Comfort with kindness – Possibly inspired by the Rally to Restore Sanity, one atheist group found a fun way to protest the preaching of hateful Jesus freaks, by killing them with kindness. They held up signs like “I’m an atheist but religious people are cool too!” and “You’re not going to hell. However you’re not going to heaven either!” as well as wearing t-shirts that said “Smile! You just met an atheist.” I don’t necessarily think this is the only approach atheists should take but it does still have the effect of highlighting the irrationality and hatefullness of the religious while displaying atheism in a positive light, so kudos. For the last several years, the Freethought Society of Greater Philadelphia has put up as a holiday disaplay a tree decked in copies of the covers of books representing numerous philosophies and religions, as well as atheism. But now the Chester County Commissioner’s Office is putting to a vote whether to “rescind all private, unattended winter holiday season displays on the Chester County Historic Courthouse property.” This legislation seems to clearly be designed for no other reason than to get the Freethought Society’s Tree of Knowledge display removed and give religious groups a monopoly on holiday displays. But this isn’t just some atheist attempt to co-opt the holiday season. The Bible and Koran, as well as several books representing other religions are present on the tree as well. The tree represents the diversity of thought in the world as well as in America. 2. Louisiana at war with textbooks over evolution – High school biology textbooks are being accused of putting “too much credibility in the theory of evolution.” And in related news, math text books are being accused of putting too much credibility in subtraction. 3. All life on Earth could originate from alien zombies -An interesting twist on the speculation of panspermia is that life on Earth could have emerged from alien viruses that were already dead but still carried enough information to spawn new life. You are currently browsing the Skepacabra blog archives for November, 2010.